It has been a while since I had the opportunity to post something. The last few days have been very busy getting Simon and myself ready for the first week of school. 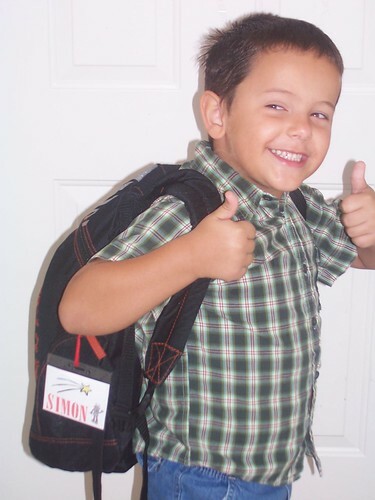 This morning Simon headed off to kindergarten. 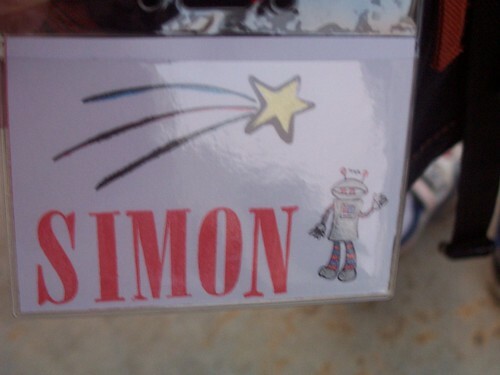 I looked several places for things with his name on it but they don't really make things with Simon on it so I made him his own backpack tag so he could easily find his bag when it was time. Of course at the bus stop he did not want me to wait with him or even stand remotely close to him. Simon also made me give him his kiss and hug before we left the house! It's Friday and another round of Taylored Expressions Cupcake Challenge. I really liked this week's sketch. The nine circles was fun to play with. I also wanted to use the monkey set I have since it's in my must-use-soon-because-it-hasn't-seen-ink pile on my craft table. I also had the opportunity to practice with colored pencils some more. 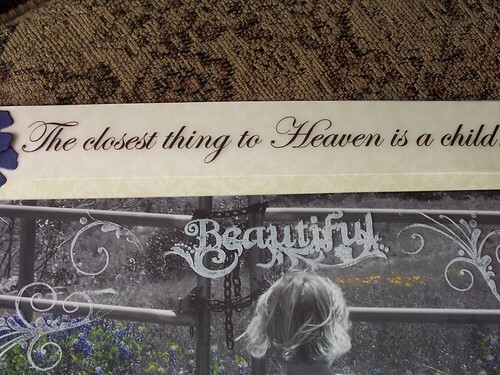 I'm mostly pleased with the card other than the sky. Big areas are hard but this was coloring number 3 on the monkeys so I was ready to move on. 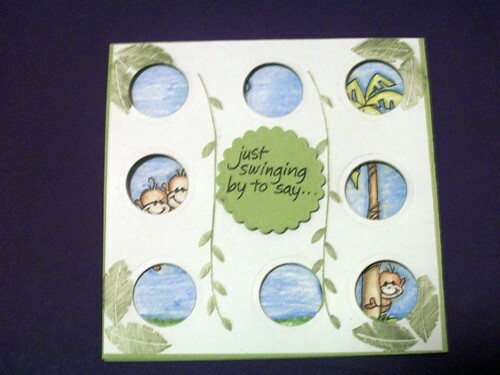 Stampin Up card stock, Changito Monkeys (Stampendous), circles were cut with nestabilities and a nestabilities for the center circle. I am trying another sketch challenge. This time it's the Splitcoast Wednesday challenge. I have a pile of stamp sets that have never or rarely been used. This Asian Influences set from Inkadinkado was in the pile. I originally purchased it to make masculine cards with but I have been intimidated about coloring the people in the set! 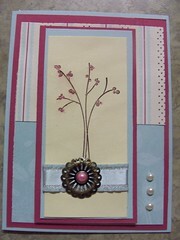 I created this note card trio for my MMM (Monday morning mailings) partner Lynn. We were to create 6 monogrammed note cards with envelopes. I created 3 designs, 2 each. The bird card doesn't have a monogram but I think Lynn will forgive me. 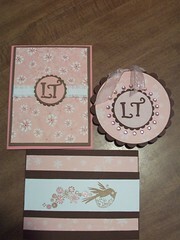 The envelopes have bling and the bird stamp to coordinate with the cards. Chocolate and pink piggy bazzil card stock, chatterbox designer papers, bird stamp from Inkadinkado, die cut letters from cuttle kids and bling from the dollar spot at Michael's. So I didn't manage to get a scrapbook layout completed this week as I have been working on items for my next class and some swaps coming up. 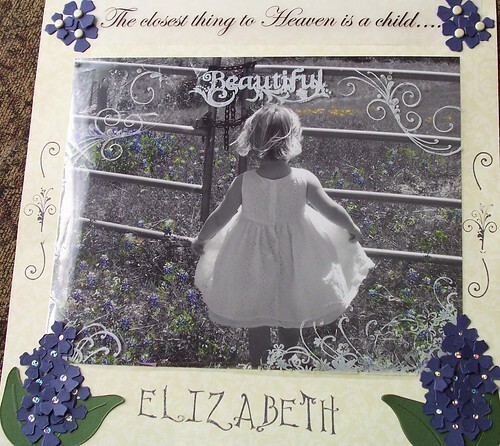 I do have a layout for you from the bluebonnet season. This layout was the first time I really played with Photoshop. 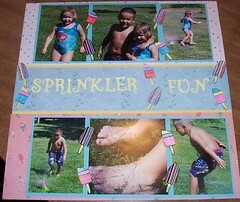 I also stamped on an overlay to get the swirls and flowers on top of the picture. All of the stamps are from Inque Boutique. 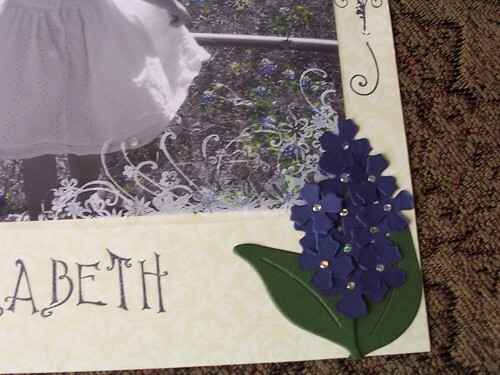 The "bluebonnets" is a sizzix die ( the closest I could find to a bluebonnet). The paper is by Kaiser. 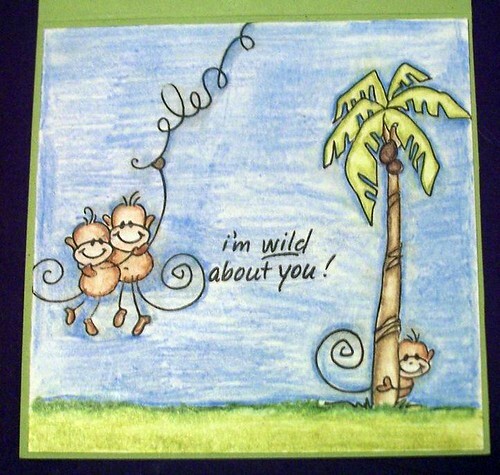 This is the card I created for the Survivor contest on The Stamp Shack. 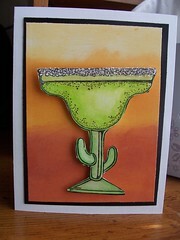 I also think I will be sending this card to my mom for her birthday. We always tease her about the buckets of margaritas that she buys. Of course we ignore the fact that the bucket lasts her ten months! 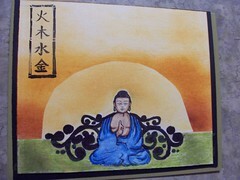 For this card I dusted off my prisma pencils and gamasol and worked on shading a bit. I have been on the fence about getting copics or some other kind of alcohol markers. However I still haven't perfected the colored pencils so I think for the time being I will concentrate on learning to shade well with the pencils before I invest the chunk of change that markers will cost me. I'm not sure where the stamp came from, I received it in a RAK once. I stamped it with classic black. The "salt" is coarse glitter. The background is created on glossy card stock with sponged marigold morning, pumpkin pie and cranberry crisp inks.